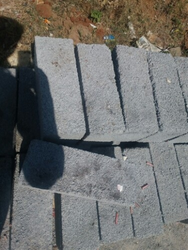 We are offering a High grade solid blocks which is highly demanded by our clients. Size (Inches): 9 In. X 3 In. X 2 In. Size (Inches): 9 In. X 3 In. X 2 In., 9 In. X 4 In. X 3 In. Size (Inches): 9 In. X 4.5 In. X 3 In., 9 In. X 4 In. X 3 In. With rich industry experience and knowledge, we are offering a qualitative range of Wire Cut Brick. Size (Inches): 12 In. X 4 In. X 2 In., 9 In. X 3 In. X 2 In., 9 In. X 4 In. X 3 In. 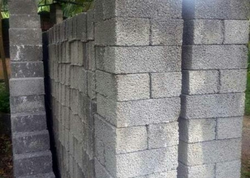 - REB BLOCKS involved in manufacturing and distribution of laterite Wall Blocks across India.